What do LeBron James, Peyton Manning and Choi Seong-Hun have in common? People pay them a lot of money to play games. Seong-Hun, or "Polt" as he's known on the battlefield, is a professional video game player. He is currently one of the best Starcraft II players in the world, ranked number four in the game's global standings. And life as a celebrity among the Terran, Protoss and Zerg races is lucrative. For his work on the fictional planets of the Koprulu sector, Seong-Hun makes at least six figures a year in Earth dollars. "People think we just play video games... [but] the game I'm playing right now is real-time strategy," Seong-Hun says. "I have to counter strategy to my opponent's. It's similar to rock, paper, scissors -- if I keep playing rocks again and again, I will lose every game." 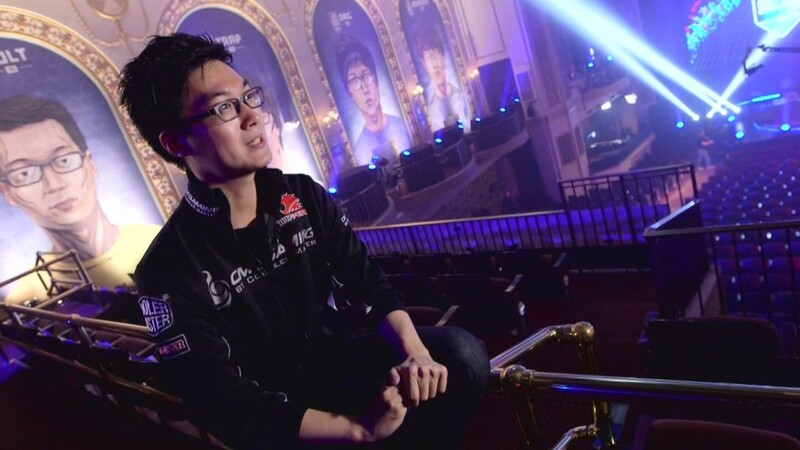 Polt (a name chosen based on a favorite character from childhood) has made a career in the rising industry of E-Sports. As video game tournaments gain popularity, events have come to resemble professional athletic events: spectators fill theaters, even stadiums, to watch gamers duke it out live in the virtual world. It's a growing business. The number of video game competitions has increased from about 9,000 in 2011 to roughly 47,500 this year, according to Battlefy, a software company for managing e-sports competitions. Competitions range from small, intercollegiate tournaments to this month's League of Legends world championship, which will be held in Seoul's 60,000-seat World Cup Stadium. Beyond that, there's the huge audience such events garner online: more than 71 million people watch -- that's watch, not play -- video games online or on TV, according to SuperData Research. Last year's League of Legends championship had a combined viewership of 32 million, compared to 26 million TV viewers for the NBA Finals. Like professional athletes, the highest echelons of gamers are becoming bona fide stars -- complete with sponsors and devoted fan bases. In Polt's case, his standing has not only landed him endorsements, but remarkably, a P-1A U.S. visa -- the kind typically reserved for professional athletes in sports like baseball. He practices his craft six to eight hours a day for which he is paid a salary. So win or lose, gaming earns him a steady stream of income. "In terms of money, it's really good," Polt says. Like NASCAR, his very presence has become a marketing opportunity. He plays as CMStormPolt, short for Cooler Master, a company that makes equipment for gamers like keyboards and headsets. While there is a sizable fan base for Starcraft II in the United States, none of the game's champions are American. Polt's U.S. visa has made him the closest thing to a U.S. Starcraft player, earning the South Korean-born gamer the sobriquet, "Captain America." Ironically, Polt was unfamiliar with the character until he heard fans chanting it when he took the stage. Now, he says, "Captain America is my favorite hero." In late September, Polt played in front of a packed house in Washington, D.C., at the Red Bull Battle Grounds competition, an experience that feels somewhere between a rave and Broadway show. 1,200 people watched, boo-ing and cheering with every shot and the destruction of every base. After a fatal mistake in one critical round, Polt took third place. Roughly seven hours of work netted him $6,000. "It's not the best result for me, but...I feel pretty good right now," he said. He turned back around and walked into a line of fans, patiently waiting for autographs.